I love camo, especially in the Fall. Put a camo top with a casual tee, a pair of boots, and some leggings and BOOM! These fabulous booties are from Buckle! 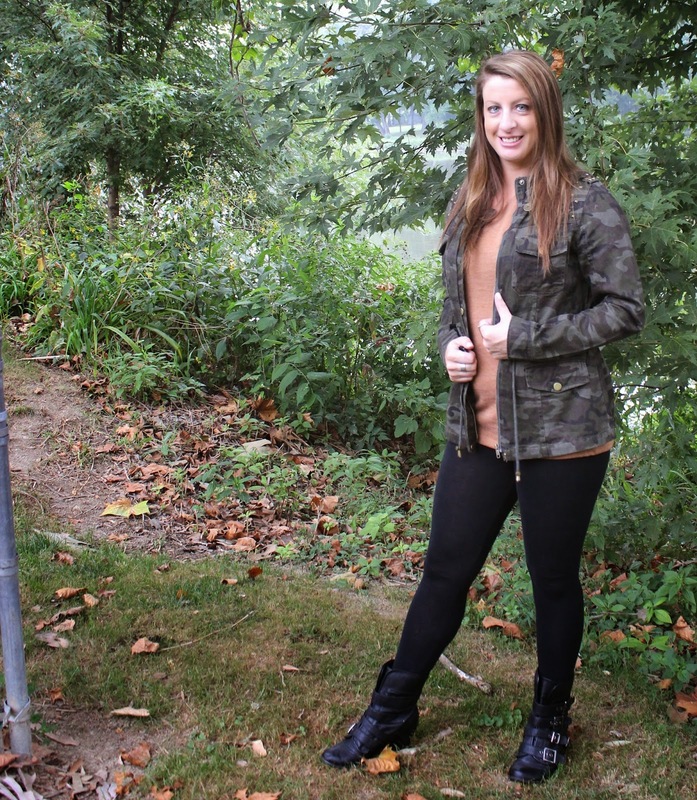 Nothing like some cute booties and a camo jacket to keep your warm and stylish in the cool Fall weather! This casual tee is from Thread Society and I love it because the color is perfect for Fall! Booties - Buckle; Leggings - Target; Shirt - Thread Society; Camo Jacket - Annie Jean Apparel.